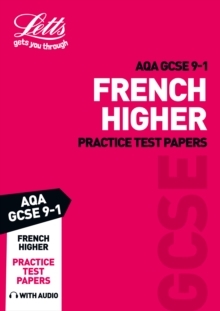 Exam Board: AQA, Edexcel, OCR and WJEC EduqasLevel: GCSE Grade 9-1Subject: EnglishFirst Teaching: September 2015, First Exams: June 2017 Accessible and motivating, this workbook provides high quality practice examples, suitable for all ability levels, to ensure that students are thoroughly prepared for the exam when it comes. Letts Revision improves exam confidence. 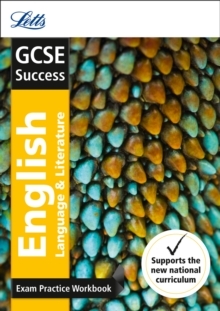 This GCSE English Language and Literature workbook with practice paper supports the Letts English Language and Literature revision guide. 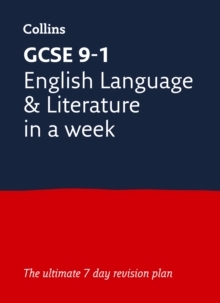 Matched to the requirements of the National Curriculum, this workbook prepares students for their GCSE English exam with confidence. 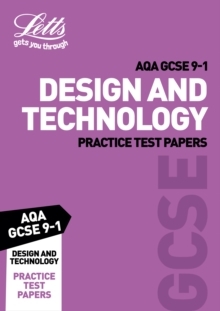 This workbook provides invaluable practice in answering exam-style questions ahead of the new, more challenging GCSEs. The first section is organised by topic for focused revision. 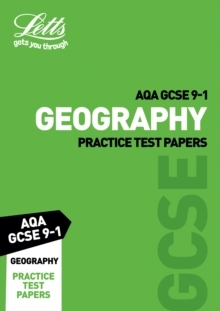 The second section features a complete GCSE English Language & Literature exam practice paper. * Lively magazine-style layout communicates all the essential information in an accessible way. * Plenty of exam-style questions reinforce understanding and improve performance. * Topic-by-topic practice for focused revision Revision Guides: Simple and concise explanations of every topic are explored through different activity types. Workbooks: A mixture of question styles help children can get closer to a `real' test experience. Practice Test Papers: Test-style questions test understanding and improve performance.